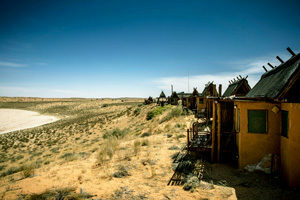 !Xaus Lodge provides accommodation in the heart of the Kgalagadi Transfrontier Park for eco-tourists and visitors to the Kalahari. The lodge has 12 individual chalets, each with its own deck overlooking a vast saltpan and waterhole fed with fresh water. The Kgalagadi Transfrontier Park, at over 3,5 million hectares is almost twice the size of the Kruger National Park and home to the famous black-maned lion. 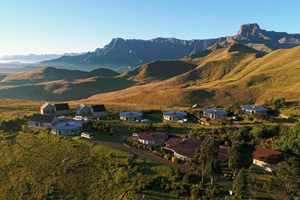 At 2200m, Witsieshoek Mountain Lodge is the highest Lodge in the Northern Drakensberg. Situated for access to Sentinel Peak and the escarpment, this is an ideal place for backpackers, hikers and climbers who want to explore the Maloti Drakensberg. It is also home to the endangered Bearded Vulture and extraordinary mountain flora. Providing 4-Star bed & breakfast accommodation, Moonglow Guest House is situated on the slopes of the mountain overlooking False Bay and Simon’s Town. 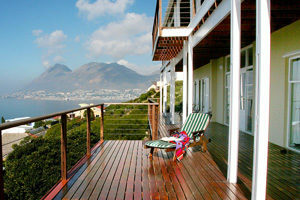 The guesthouse is on the Cape Point Route close to the penguins of Boulders Beach and Cape Point. Individually decorated rooms are all en-suite and have sea views, with a full English breakfast served in the dining room overlooking the bay. 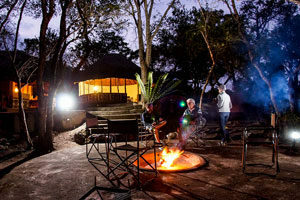 Nahakwe Lodge offers modern event and accommodation facilities in Limpopo Province, just 90 minutes north of Polokwane. It is ideally placed for meetings and events that attract delegates from all over the province to the area. 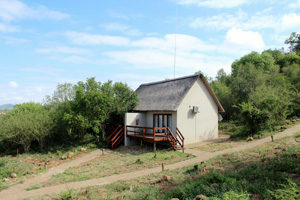 The lodge is of a 4 star standard with free-standing chalets, air-conditioning, en-suites and a swimming pool. Situated on the banks of the Great Letaba River, Mtomeni Safari Camp offers an incredible Big 5 experience in the unfenced Letaba Ranch section of the Greater Kruger National Park. The reserve is well known for its large herds of elephant, giraffe sightings, and is a hotspot for the elusive African Wild Dog. High above the Mutale River, the view from Mutale Falls allows you to see so far that ‘you can see tomorrow’. The wild and beautiful Makuya Reserve section of the Greater Kruger National Park provides a rugged safari experience and incredible views. Nthubu Safari Camp affords visitors an extraordinary experience hiking and mountain biking in a game reserve with no dangerous animals. 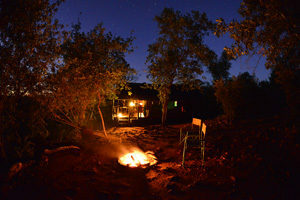 The wildlife, birds, sandstone cliffs, and ancient bushman paintings at Nthubu Safari Camp provide the complete outdoor experiences for travellers. 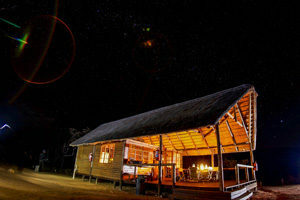 Baleni Cultural Camp is an environmental wonder where nature, economy and spiritualism have a rich integration. With an economy strongly dependent on traditional salt-mining, visiting Baleni allows travellers the opportunity to see how modern people integrate ancient traditions into their 21st century lives. Situated in the southern foothills of the Blouberg Mountains, Blouberg Cultural Camp provides a starting point for rock climbers and foothill hikes for visitors wanting to explore the yellow-wood forest. The camp is also popular with birders because it provides access to the nearby Blouberg Reserve with its famous Cape Vulture colonies. 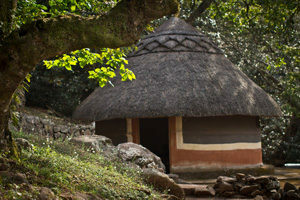 Nestled at the foot of the Luaname Mountains, Fundudzi Cultural Camp is in the heart of traditional Venda territory. This is an ideal place from which to explore a region famed for its sacred places and exciting outdoor activities, including bike riding, 4×4 trails and birding. Accessible only by 4×4, patient driving rewards the driver for the slow trip with magnificent scenery and an unparalleled environment for hiking, mountain biking and enjoying the great outdoors at Mafefe Cultural Camp. 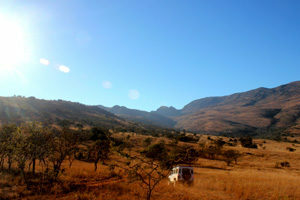 Mafefe is the perfect spot from which to base day-trips in the surrounding mountains. 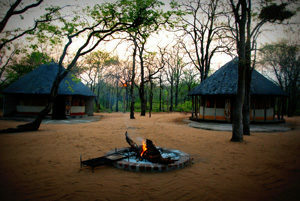 Modjadji Cultural Camp provides travellers a fascinating mixture of cultural interaction, and natural wonders. 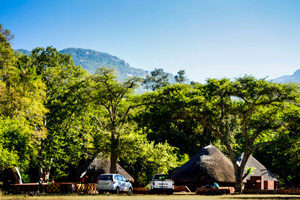 Situated in a forest of ancient cycads, the camp’s community owners are members of the Lobedu community who are subjects of the Modjadji Royal Family – Southern Africa’s only matriarchal royal dynasty. 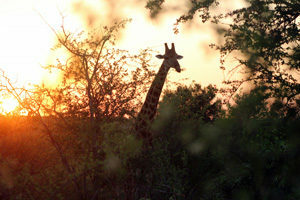 We offer a range of 4×4 trails and walking trails across popular Limpopo reserves and Kruger National Park. 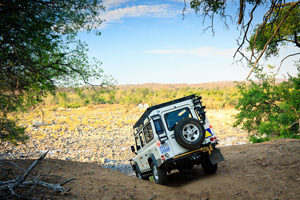 Experience an incredible 4×4 adventure with our experienced guides, including river crossings, camping and unique wildlife sightings and moments.